The core of one of Cambodia’s most important and abused forests —Prey Lang—was officially de­clared a protected area this week af­ter years of campaigning by local ac­tivists and foreign conservationists. 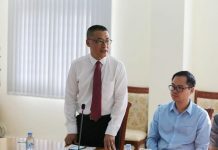 It is one of five new protected areas covering nearly a million hec­tares made official in a sub-decree signed by Prime Minister Hun Sen on Thursday and disseminated on Friday. The sub-decree also transfers 13 already pro­tected forests from the Agri­culture Ministry’s port­folio to the Environment Min­istry’s and hands oversight of 73 economic land concessions to the Agriculture Ministry. While environmentalists have been pushing for Prey Lang to re­ceive protected status for years, news that the sub-decree sets aside only 305,366 hectares of the sprawling forest for protection was met with disappointment by local environmentalists on Friday—frustrated that the substantially larger area they had lobbied for was rejected. 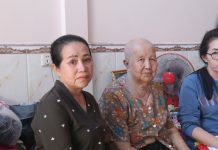 “I cannot accept it,” said Phok Hong, a member of the Prey Lang Community Network in Preah Vi­hear province, where the extent of Prey Lang is excluded from the new protected area. Conservationists consider the greater Prey Lang area to encompass more than 600,000 hectares —spanning parts of Kompong Thom, Preah Vihear, Stung Treng and Kratie provinces—but some have questioned the wisdom of creating protected areas that a se­vere­ly under-resourced Environ­ment Min­istry would struggle to administer. In addition to Prey Lang, the min­istry will now be tasked with safeguarding 443,134 hectares of Prey Chrak Robieng Khang Tbong in Kampong Speu, Pursat and Koh Kong provinces; 80,823 hec­tares of Prey Preah Rokar in Preah Vihear; 65,070 hectares of Prey Siem Pang Lech in Stung Treng; and 56,932 hec­tares of Prey Voen Sai-Siem Pang in Stung Treng and Ratan­ak­kiri provinces. All of these forests are under serious threat from Cambodia’s rampant illegal logging trade, which has pushed the rate of deforestation in the country to increase faster than anywhere on Earth, according to an analysis of U.S. satellite images by the University of Maryland in College Park. Prey Lang, which has lost ap­prox­imately half of its core, has seen some of the most coordinated community responses to illegal logging. Groups under the umbrella of the Prey Lang network have mo­bi­lized patrols to crack down on in­di­vidual loggers and companies logging be­yond the boundaries of their government-granted concessions. On Monday, however, En­vi­ron­ment Ministry spokesman Sao Sopheap said the network would no longer be allowed to operate independently and would be re­quired to join government patrols instead. Mr. Sopheap could not be reached on Friday. Josie Cohen, senior land campaigner at Global Witness, which has been heavily involved in the push to make Prey Lang a protected area, said the prohibition of in­dependent patrols was concerning given the government’s poor track record on forest protection. “I’m confident the Ministry will get reasonable about this. [It’s] in its own interest,” he said. In a speech on Thursday, Mr. Hun Sen appeared to encourage community participation in the en­forcement of protected areas but did not say whether independent pa­trols would be permitted.